Works in concert with your body's own natural detoxification systems to promote healthy assimilation and elimination. Start with three capsules and work up to ten capsules per day, or as advised by a qualified health care professional. Take on empty stomach approximately 45 minutes before or 2 hours after meals/nutritional products. Consume with conscious, positive intent. Lots of fluids are important due to the drawing nature of this formula. 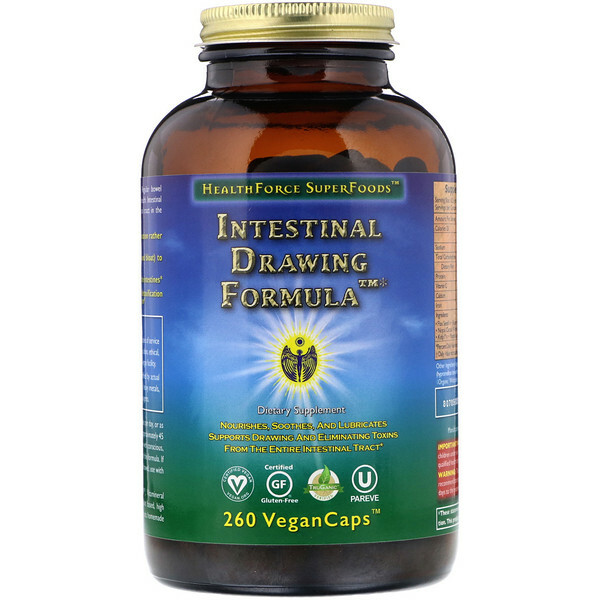 If more powerful bowel moving action is required, or you have a sluggish bowel, use with Intestinal Movement Formula. Suggested Adjuncts: Intestinal Movement Formula, SCRAM, Vitamineral Green, Vitamineral Earth, and Liver Rescue; a whole food, plant based, high fiber, organic, vegan diet with emphasis on fresh, high-water-content foods; homemade probiotic foods. Substance is everything! Manufactured in low-emf, tachyon-enhanced facility. Manufactured in U.S. vegan facility free of gluten, peanuts, and tree nuts. 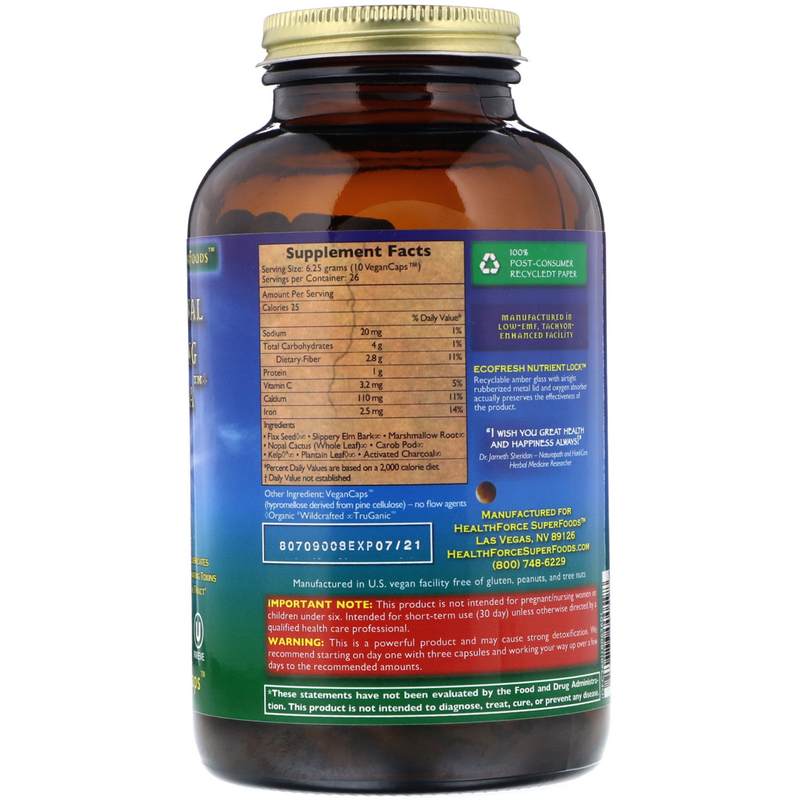 This is a powerful product and may cause strong detoxification. We recommend starting on day one with three capsules and working your way up over a few days to the recommended amounts. Important Note: This product is not intended for pregnant/nursing women or children under six. Intended for short-term use (30 days) unless otherwise directed by a qualified health care professional.